Bernie Williams was born in Pietermaritzburg on 9 June 1962. He comes from a musical family with both his parents being musical as well as other family members. His love for music was clear from a very young age having grown up with the music of the likes of Jim Reeves and local stars, Lance James etc. At the age of 10 his father was transferred to Bloemfontein. When he was in standard 5 his “music” teacher at school at that stage was involved in the Performing arts Council of the Free State (PACOFS). At the time Pacofs staged 3 operas of which TOSCA was one. Bernie auditioned and got a part as one of the choir boys in the opera with stars Ge’ Korsten and Nellie Du Toit. The experience left a huge impression on him and created a hunger for the stage and live performance. When he was in std. 6 he started to learn to play the guitar on his own without lessons with the help of a Cliff Richard song book with the guitar chords illustrated along with every song. This he did in secret every afternoon without his parents knowing and to their surprise one night at a family gathering he took the guitar and started playing and singing for everyone. Bernie sang often in church and then proceeded to compete in the yearly talent competitions held on a regional basis at the church and not with much success! His afrikaans teacher at school had said time in std 7 that he would never work in radio, tv or the entertainment industry! After matriculating, he did his military service in Kimberley. Here he and a fellow soldier discovered each others talents and started playing in the bungalow in the evening. They were asked to perform at the Hartswater show which at the time was huge for that area! After military service he kind of lost touch with his music and performing but was still singing in church on a regular basis and till today has great love for gospel music and considers it to be his anchor. At the time he happened to meet a South African country singer Ray Thomas, which at the time was broadcasting on the then Radio Oranje. They became friends and before long Bernie was playing acoustic guitar and doing backing vocals for most of the major performers on big shows. 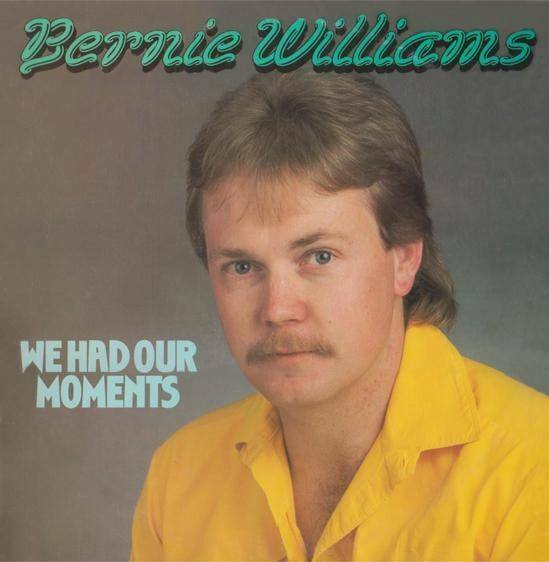 In 1987 he was offered the opportunity to record a solo album titled “We Had Our Moments” which was released in August 1988, and produced by one of his idols, Gene Rockwell. He was invited for a radio interview about the album and the next day he was contacted by the program manager of Radio Oranje at the time , Eben Niemand. This was the start of a broadcasting career that lasted until 1998. He was invited to perform on the very popular “Sing Country” that was hosted by Clive Bruce. He started performing with the people he had always admired and had followed religiously and could not believe how things had changed for him, sharing the stage with the likes of, Ken Mullan, Bles Bridges, Steve Hofmeyer, Slam Factory, Lance James, Barbara Ray, Kurt Darren etc……he performed at the Rand Easter Show for four consecutive years before the entertainment at the show was changed. Sing Country was discontinued and about two years later the SABC produced a program called “Sounds Country”, Bernie was selected to be one of the presenters along with Lance James, Clive Bruce and Jenna Lessing. 13 programs were produced. So much for a teachers predictions!!!! In 1992 he and Tony Ridgway of Rocking horse embarked on a tour of the USA visiting music city Nashville for the “Fan Fare” and seeing many of the big stars perform. They got to go the the very popular “June Jam” hosted by Alabama in Fort Payne Alabama as guests of the management company of Alabama, having VIP backstage passes and meeting numerous stars!! The likes of Billy Ray Cyrus, Marty Stuart, Restless heart etc. In 1998 his second album, titled “Uncommon Man” was recorded after being signed by Polygram along with well known Ed Jordan and Lionel Bastos at the time. Lionel Bastos was tasked to produce the album and Bernie spent two weeks in studio along with some of the best musicians in South Africa, Ed Jordan on keyboards, Ruben Samuels on drums, Graeme Curry on bass guitar and Mauritz Lotz on guitar and backing vocals by amongst others Robin Walsh and Ed Jordan. At the time Bernie started his own business and was soon bought out and went on to run the local branch of Homemakers Fair, planning and successfully managing 5 expos for them. By now he had discovered the 4×4 industry and was actively involved in it doing driver training and leading overlanding trips. Unfortunately he stopped performing at the time. He has been involved in the off road scene now for more than 16 years having moved to Jhb 3 years ago to take up the position of marketing manager for 4×4 Megaworld, a position he held for 2 years, arranging and managing sponsorships for the likes of Kingsley Holgate, Johan Botha (ex 50/50) and Johan Badenhorst of Voetspore. 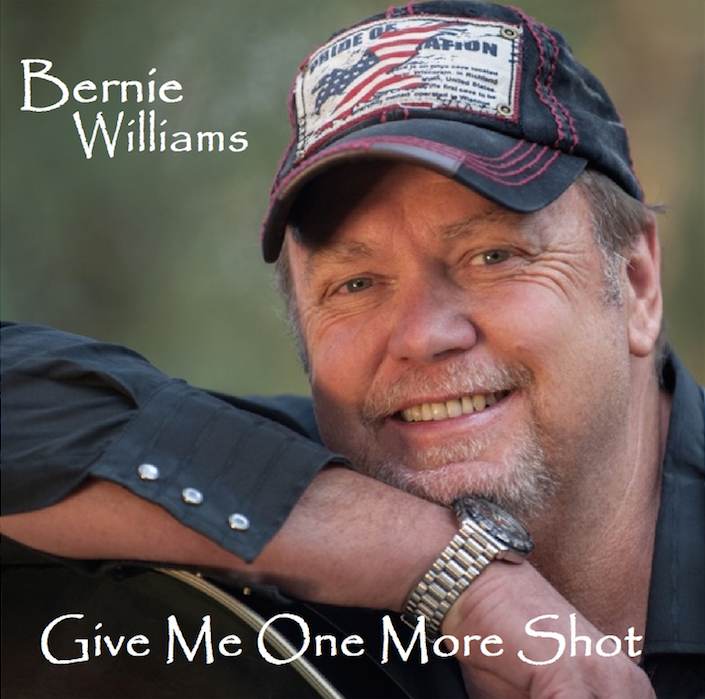 Two years ago Bernie decided to rekindle his passion for performing and started singing again along with a friend. In this time he started speaking to Tony Ridgway about recording one or two songs to “test” the waters…..after more discussions it was decided to record a full album with 14 songs, and for the first time Bernie decided to record afrikaans songs as well, breaking “new” ground for him as he had never ever sung afrikaans before. The end result is a super exciting product that has seen the light superbly produced by Tony Ridgway who also wrote most of the songs. 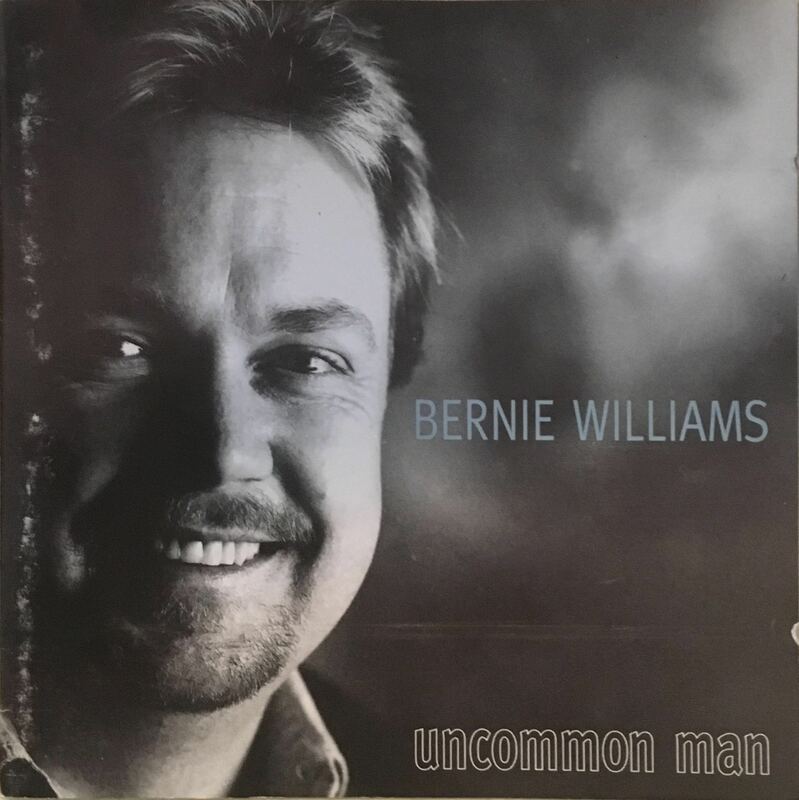 Bernie continues to do solo performances and sings songs from the 70’s, 80’s, 90’s Afrikaans, country and his songs from his albums.